Splat ~ G‘day there Jack Thomas Smith. Going through your biography I noticed that you were born in PA. Just wondering what is in the water there that has brought out so many talented filmmakers in the horror scene? JTS ~ That’s funny. I’m a huge George Romero fan. The original Dawn of the Dead is my all-time favorite horror film. I love Night of the Living Dead, Creepshow, The Crazies, Day of the Dead… I can go on and on about George Romero. 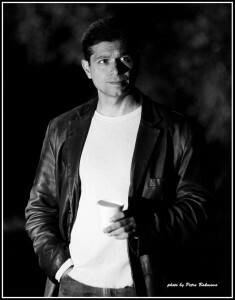 I was fortunate enough to work with John Russo back in the 90s on a film called Santa Claws. John co-wrote and co-produced the original Night of the Living Dead. I produced Santa Claws and John wrote and directed it. We had a bunch of the cast from Night of the Living Dead in the film… It was very cool working with them after being a fan for so many years. 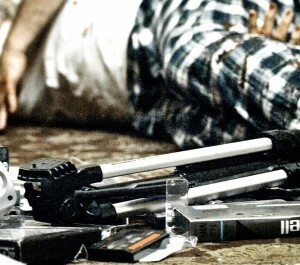 Splat ~ Found footage has certainly found its niche within the horror genre! What brought you to that thought process that said I want to create a found footage film from the perspective of brothers going through their business of sorts with your upcoming feature Infliction? 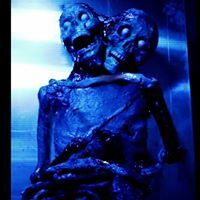 JTS ~ It wasn’t so much that I wanted to create a found footage film… The story dictated it. In other words, the cameras in Infliction serve a purpose that ties in with the brothers’ actions… There’s a reason why they’re documenting everything. Infliction is basically an artistic, character-driven found footage film… It’s dark and disturbing… And brutal. But as you watch the film, you’ll find yourself asking… Who are the true criminals here and who are the true victims? Splat ~ Within the framework of the trailer for Infliction I got the impression this is why more than just another found footage vehicle. That there is more to these guys filming their deeds than just for the sake of thrills or what have you. Can you go into this a little? JTS ~ You’re absolutely right! This is NOT a thrill kill. There’s a reason why the brothers target the people that they do… And as Infliction plays out you find out the truth behind their actions… I’m not sure what’s more disturbing… The brutality of their actions… Or the truth behind it. Splat ~ What other plans do you have as a filmmaker for the near future? Do you want to stay within the realms of the horror genre or do you want to try your hand at other genres? JTS ~ I’m trying to secure financing for my next film In The Dark. Hopefully we’ll be able to shoot next year. It’s an action/horror film set on a small, middle-class island in Michigan that gets overrun by zombie/vampire creatures. These things are pissed off and mutated and are driven by their insane need to feed. They’re not your Twilight vampires. Lol. These things are crazed and run full speed after their victims. Ultimately, there’s a handful of survivors left with guns and they blast the hell out of these things as they try to get off the island. There’s very cool characters and a strong underlying theme. Splat ~ Lastly what other projects are you currently involved in? Do you solely work in the realm of film making or are there other interests that hold you as well? JTS ~ After In The Dark I’m planning to write a drama that deals with the illegal immigrant issue in the United States. I love horror films… But that’s not all that I want to do. I also have a comedy in development. Filmmaking is primarily what I do. I’ve shot a number of music videos as well and sizzle reels for reality shows. This is what I know. 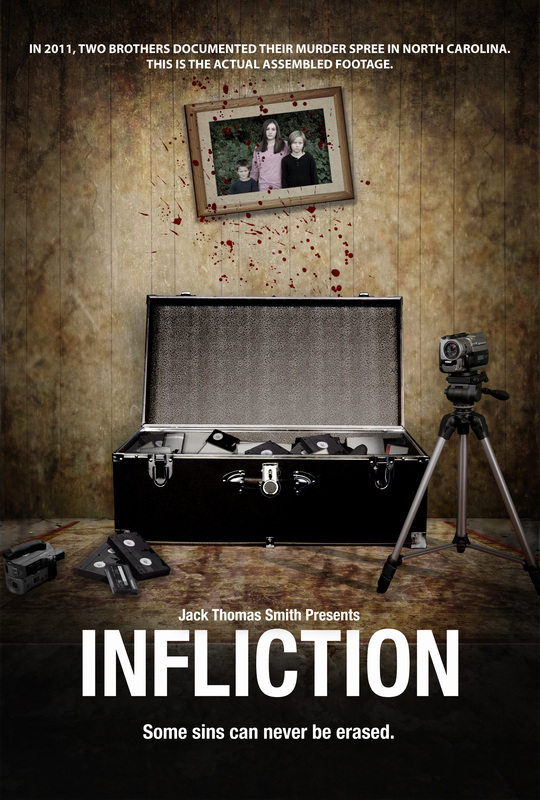 Thank-you for supporting Infliction. I really appreciate you taking the time to put together these questions. 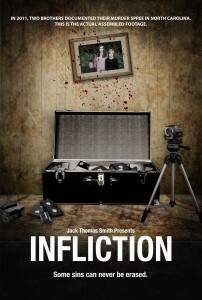 I’d love to hear your thoughts about Infliction after you see it. Splat ~ I look forward to experiencing Infliction and letting both yourself, our members and guests what this was like in a review! Thanks for taking some time out of your busy schedule to answer these questions.